Get Rid of the Mucus, Get Rid of the Cold! 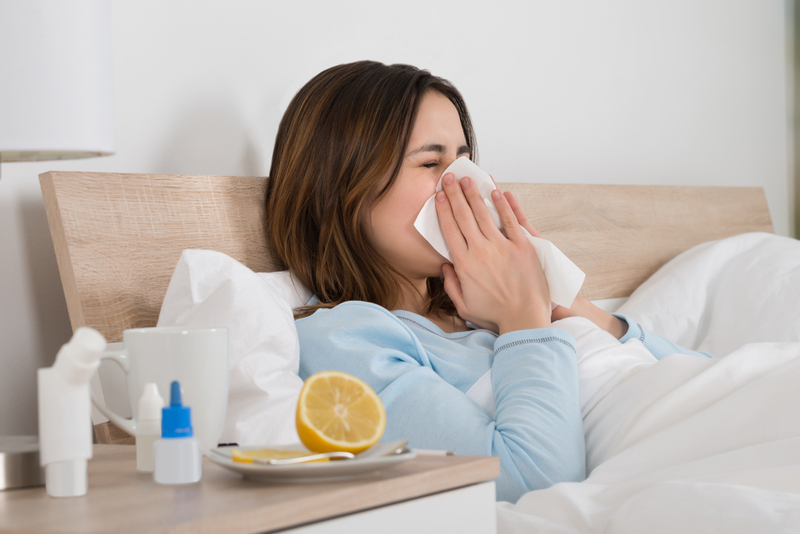 Mucus is more than a mere source of discomfort when you’re sick—it can actually trap the very germs that are making you feel so crummy in the first place, extending your illness or even making it worse. If you want to get rid of your cold and feel better at the same time, a powerful throat gargle like Gargle Away® by Nature’s Jeannie™ may be just what you need. When you’re healthy, mucus actually has an important job to do, trapping dust and other unwanted particles before they can make their way into your lungs. But when you’re sick, mucus’ power to trap little germs and other bits becomes a liability. Mucus caught in your throat can even harbor staph and strep bacteria that cause a cold to become something even more serious, going deep into the lungs causing respiratory difficulties or strep throat. That’s why gargling is such an effective treatment for a scratchy, congested throat. It goes directly to the source of the issue and washes all those nasties away. When you use Gargle Away, you’ll gargle a little bit at a time to gradually break up and clear out the mucus in your throat. Gargle Away rinses away 99% of the bacteria leaving your throat healthier than it was before you used it. Once the mucus is gone, the lining of your throat is exposed, and the Himalayan Salt and other all natural ingredients in Gargle Away will fight the remaining bacteria that’s lingering and digging in to cause further problems. Gargle Away’s soothing ingredients, including organic honey, will soothe your throat and provide some calm after all the hacking, coughing and throat clearing you’ve been doing to feel better. Over-the-counter medicines often claim to have an expectorant effect, meaning they are designed to help you expel mucus from deep in your sinuses and your chest. That’s all well and good, but it doesn’t necessarily solve the problem of mucus buildup in the throat. Plus, these drugs take time to work. When you’re sick, every moment counts. You don’t want to have to sit around and wait to feel better, and with Gargle Away, you can get instant relief that washes away mucus and treats sore throats right at their source. Of course, if your doctor prescribes you a course of antibiotics for an illness such as a sinus infection or strep throat, you should absolutely take those as directed since that means your infection has progressed such that you must take antibiotics to treat it. If you gargle with Gargle Away at the onset of your first sore throat symptoms or congestion, there is a great likelihood for faster recovery and bypassing the need for prescribed drugs since you may just nip that bacteria before it grows into a superpower. Just remember, if you are taking antibiotics, you can still gargle with Gargle Away for a 1-2 punch that will support internal and immediate external relief – soothing the pain and expelling that mucus! Best of all, it is 100% all-natural.